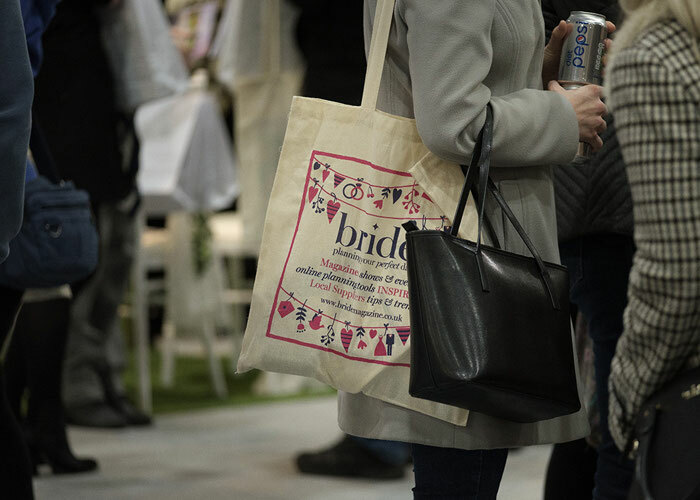 The 2019 spring edition of Bride: The Wedding Show at Westpoint Exeter has been a huge success with lots of happy brides, grooms and exhibitors. 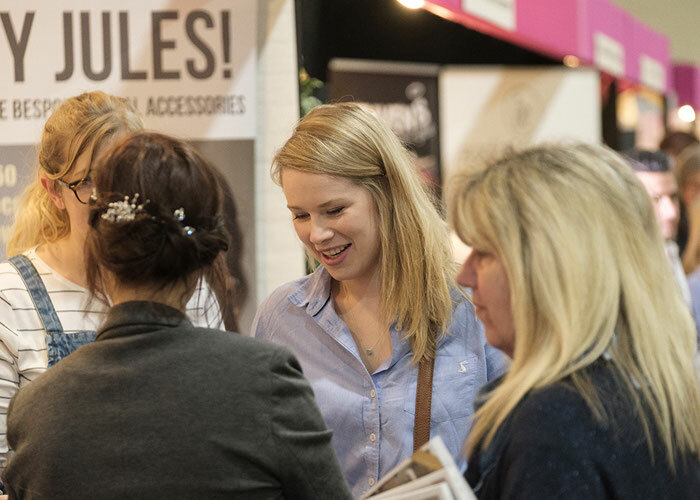 Hundreds of brides, grooms and their bride tribes attended Bride: The Wedding Show at Westpoint Exeter from March 23-24. 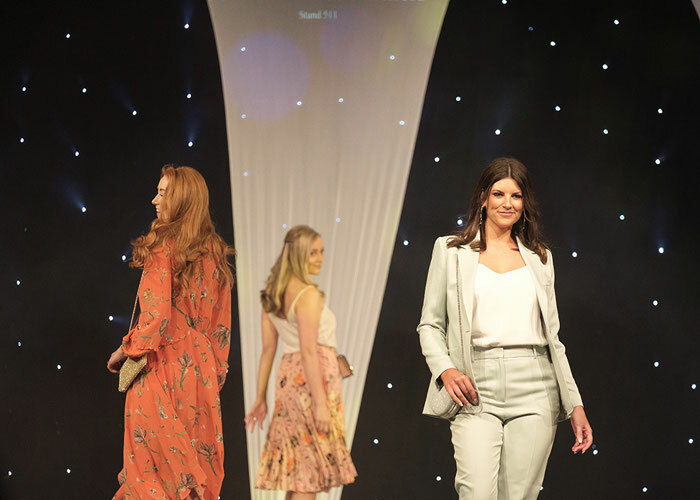 The March edition of the popular show, now in its third year, was full of ideas and inspiration for couples planning their weddings this year and beyond. And what a place to start your wedding planning journey, with exhibitors ranging from venues to photographers, florists and venue dressers to cakemakers, beauticians, entertainers and of course, wedding trends for the guys and girls – there’s everything a couple would need to plan their perfect day. A packed programme of music on the band stage from Crown Entertainment kept visitors entertained while they enjoyed a coffee break in the café. Acoustic artist Ellie Hapney opened the performances on the band stage followed by Lord of Soul – Christian Harling, The Swing Kings, Duncan Godefroy and Matilda Grace. Musician Tom Baker joined the line up in the afternoon. 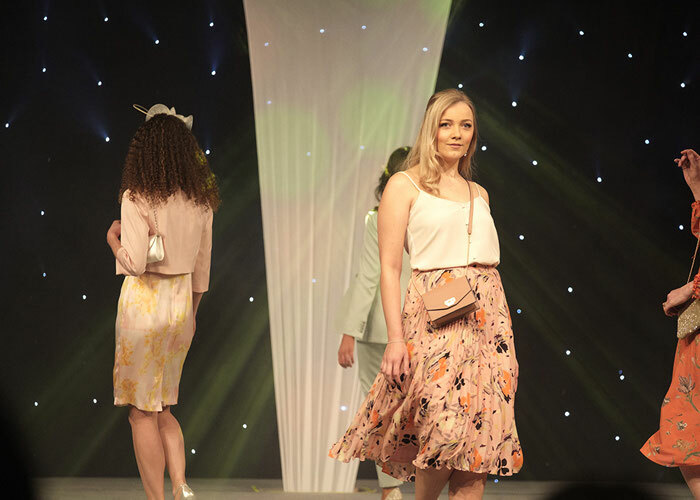 In between the musical sets, another highlight was the fabulous catwalk show. 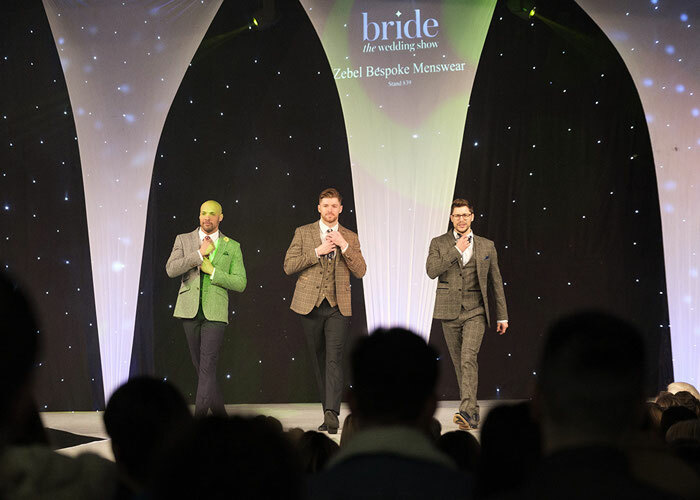 The girls sparkled in beautiful bridal gowns by Pirouette, 14 & Sixpence and Browns of Totnes and the grooms shone in bespoke menswear by Zebel Bespoke. The rest of the bridal party were also well catered for with wedding outfits for guests from John Lewis & Partners and bridesmaids’ gowns from Pirouette. Cathy Keen from 14 & Sixpence in Taunton, who showcased a number of dresses on the catwalk agreed: “I love doing the catwalk,” she said, “this is the second time we’ve done it, it showcases the dresses beautifully and so professionally.” Cathy also hosted a ‘secret wedding sale’ during the show, with last season’s dresses reduced by up to 50 per cent and all under £500 – perfect for brides looking for a bargain. 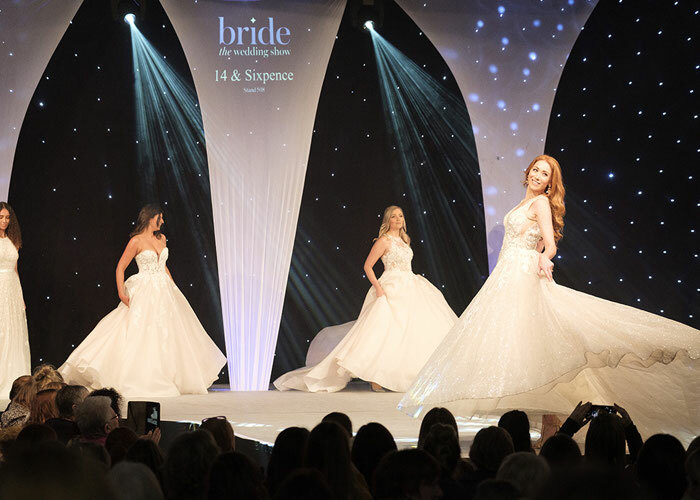 Bride: The Wedding Show returns to Westpont Exeter from October 12-13. Michelle continues: “If you’re coming to the show, make sure you watch the catwalk, get lots of information and talk to as many people as possible.” Great advice. Buy your tickets to Bride: The Wedding Show at Westpoint Exeter 12-13 October now!